District Governor Toni Finkel launches her conference. Rosemary Cone brings greetings on behalf of District 13 of Inner Wheel. Tim Cowling brings the greetings of our international President K.R.Ravindran. Tim Cowling talked about Ravi Ravindran's goals for the year. Tim Pare comes to the Conference to speak about First Give, a programme for children in schools. 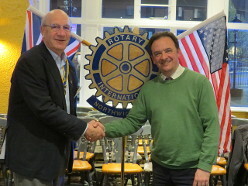 Tim Pare gave an excellent presentation, including how the Rotary Club of Catford had taken up the project. Tim Pare shows conference how his project works. The benefits to Rotary of First Give. Benefits to the Interact Clubs run by Rotary in Secondary Schools. 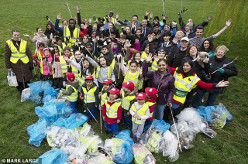 What First Give gets out of the association with Rotary. The organisations currently sponsoring the First Give Programme. 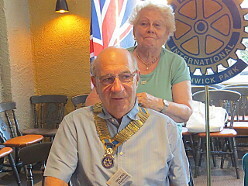 Peter Bradley introduces the entertainment from the District Governor's home club, Edgware and Stanmore. Super DG Toni - the doll held by the middle dancer - visits events on behalf of Toni when she is unable to attend. District Sports Chairman receives his Fellowship Cup, or mug as most people call it! Alison Baum addresses conference about her project Best Beginnings. Best Beginnings is making progress with an App for Smart Phones, called Baby Buddy. 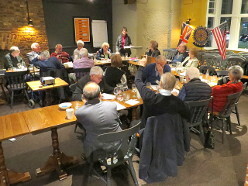 Older Rotarians remember Dr Spock. Christine Hamilton entertains conference with a her memories and anecdotes. London will be hosting 32 scholars at London's Universities and Colleges this academic year - more than any other District in the world. Two peace scholars talk about the work they have been doing during their studies at Bradford University. 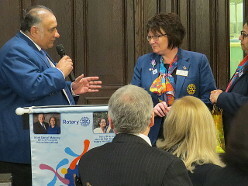 Rotarian Suzanne Rea talks about her World's Greatest Meal project and the difference it has made to the world. District Rotaract Representative Zsofi talks about the turnround of Rotaract in London, and how the progress is being maintained. Key events in the Rotaract Year included the Rotaract Conference and the Rotaract Day at the United Nations in New York. The Hall was very nearly full during the sessions with the Rotary Showcase in the same room. The new layout worked well. The speakers were clearly visible from the back of the hall. Bella Field, aged 9, addresses conference on her experience of travelling to Brazil in June to address Rotary's worldwide convention. 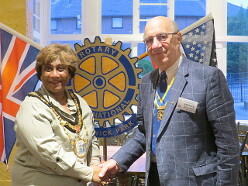 Our Club President is introduced to conference by District Governor Toni. Television Doctor Dawn Harper talks to conference about Action Medical Research for Children. Dr Dawn Harper is a familiar face from Embarrassing Bodies. a popular television programme. 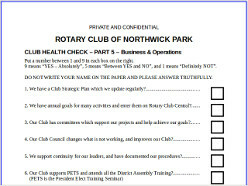 Tim Cowling returns for a talk on the Rotary Strategic Plan. Steve Brown, captain of the Team GB Wheelchair Rugby Team, talks about the accident that changed his life. Steve Brown, in his youth and whilst playing Wheelchair Rugby during the 2012 Paralympics.